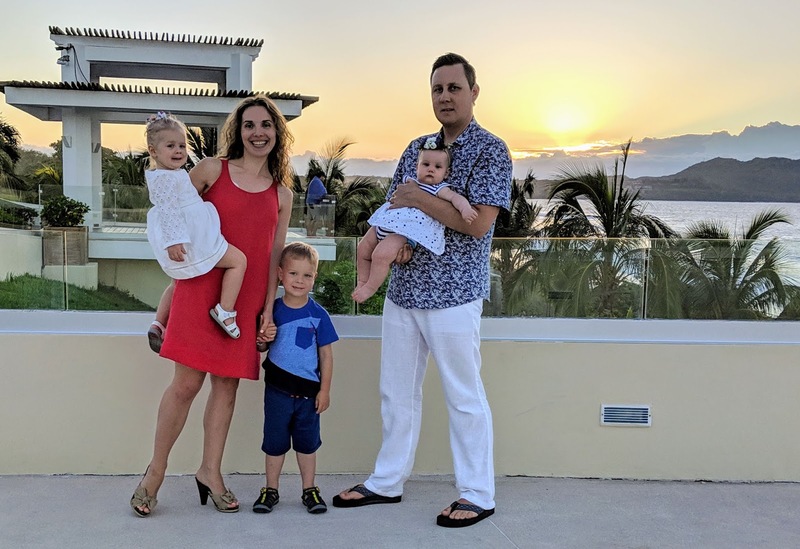 Six months ago, our life changed from being a busy family to becoming simply overwhelmed, twenty-four hours a day, seven days a week busy family. Now, I have a four year old young gentlemen who is addicted to Legos, a two year young lady who prefers to be called “dolly” and a six month old girl who seems to just get started during the night shift. A visit to the park which used to be a routine is now a challenge. My favorite hairstyle is a bun. A quiet morning coffee that I always managed to make time for, these days is just a dream. But it’s also triple the fun! Instead of cuddling with two little treasures, we have three cutie-pies giving us wet kisses. We enjoy observing our older son becoming a leader of the tribe, while our middle princess shares her treasure chest full of pacifiers with her baby sister. Finally, we are stopped in our tracks when our crawling cupid smiles and shows us her chubby cheeks and two teeth. That smile, I tell you, is the most attractive smile in the world! When you have two children, people around you feel sorry to leave you alone with the active toddlers. 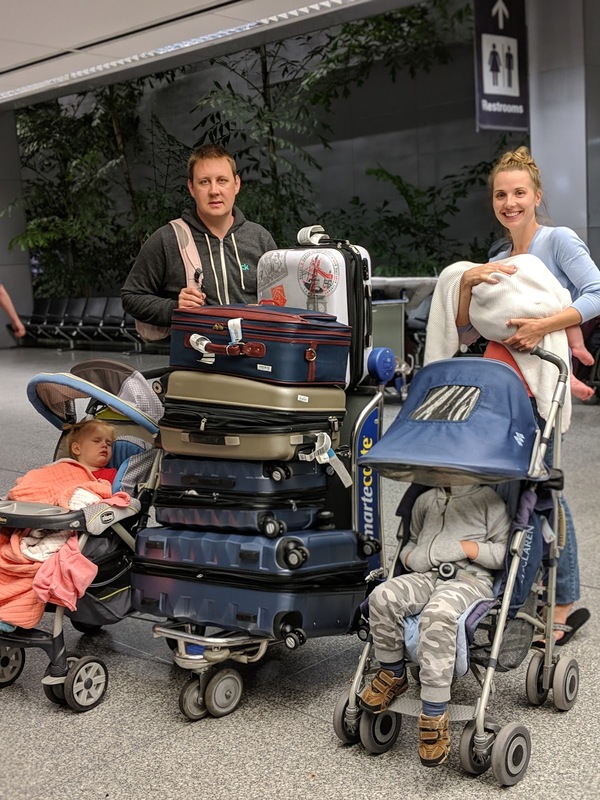 The moment when your third child enters the world, everybody feels you are on vacation with the three of them and do not need that much help. Quite odd, right? With each new addition, you get less unneeded advice from people around you. It seems that each visitor used to sense they had a duty to enlighten you with a few tips starting from how to give a bath, how often to feed, and how to dress each child per the weather condition, etc. 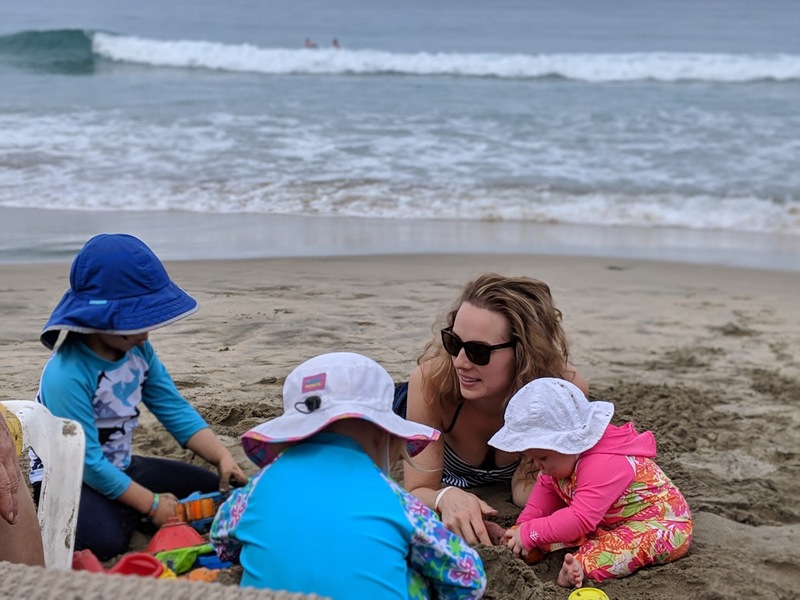 What a relief being a mom of three, where visitors, relatives, and friends finally seem to trust that I know what I’m doing. The more children you have, the quicker you realize the importance of spending quality one-on-one time with each child. When there is just one, your whole world revolves around that child. When there are two of them, you offer two different activities and share your time between them. When one naps, you play with the other, and vice versa. The dilemma with the tree kids, is that most of the time they are on or around you and their day time naps never aligns at the same time. So, as soon as a helper (husband, neighbor, grandparent, nanny) enters your door, you generally toss them the newborn, and carve out some time with each of the older siblings for one-on-one moments.. Oh, how I love these precious minutes! When a newborn enters your life, the other children suddenly seem to become so grown up! Every single mom that I’ve spoken with shares the same feeling. It’s as if your kids grew up overnight while you were in the hospital. Their heads, limbs, and bodies seem to be gigantic. At that moment you realize, people are right, time flies! You learn to multitask. The third one pushes your productivity to a whole new level, if you hadn’t caught of before. Some days, I feel as a superhero flying around the house, doing the laundry, fixing lunch, serving breakfast, changing diapers, pumping, and dressing myself. While other days I’m so sleep deprived that I’m slipping on the basics. Your wall calendar is full of endless birthday parties, doctor’s appointments, and play dates. 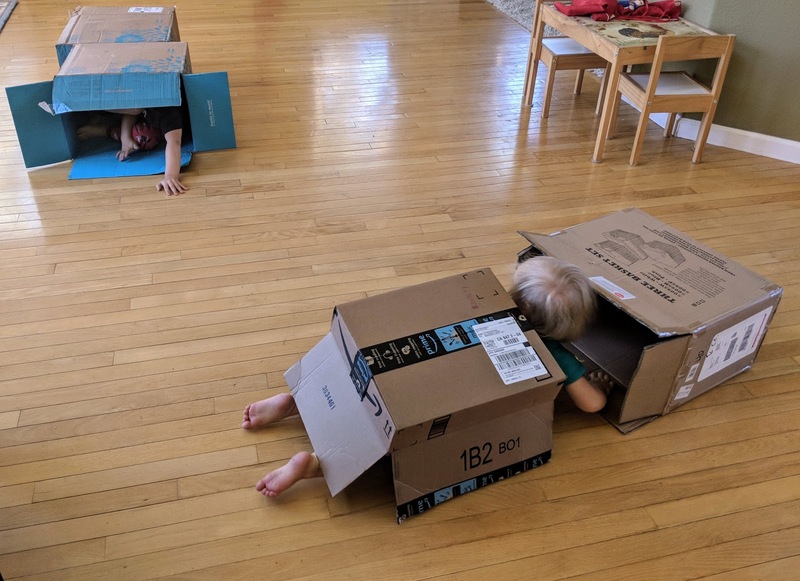 I never go shopping with three little children while Amazon becomes my best friend! Sometimes I find myself making purchases every day: toothpaste, clothes, gifts for birthday parties, new toys, hair accessories, and every other possible things you might need as a mom of three. You subscribe to as many recurring deliveries as possible: diapers, groceries, cleaning supplies, photo albums, books, etc. The main reason is because you simply don’t remember when you will need those things, and fear ordering late or forgetting to order it altogether. Why not take advantage of what the internet and technology have to offer? Your house becomes one big bustling place. One of my neighbors visits us just to be around the positive energy generated by little children. They make you smile all the time and laugh each and every day. The more kids you have, the more of that energy you feel! You have the most empathetic team of little human beings. They bow on their knees and kiss your leg when you get hurt. They give you 100+ hugs each day, while saying, “I love you”. They give you wet kisses on your lips, cheeks, and hands. They forgive all your mistakes and misunderstandings. Lastly, they love you unconditionally just because their precious hearts are full of love. Our kids teach us new things each and every day. My kids show me how to enjoy life to its fullest. They get excited when it rains, and dance when there is or isn’t music . The more children you have, the more often you laugh. They make the funniest comments about random things, such as “I like this lady because her hair looks like one I have in my lego set. I really want her to be my friend”. You never feel alone. Loneliness doesn’t exist when you are a mom of three. There is always someone available for your snuggles, kisses, and conversations. Kids keep you moving all the time. Before I had kids, I never spent so much time outdoors, running with a stroller (because kids won’t let you go slow!). I also never before got so much fresh air, nor climbed trees and play structures. 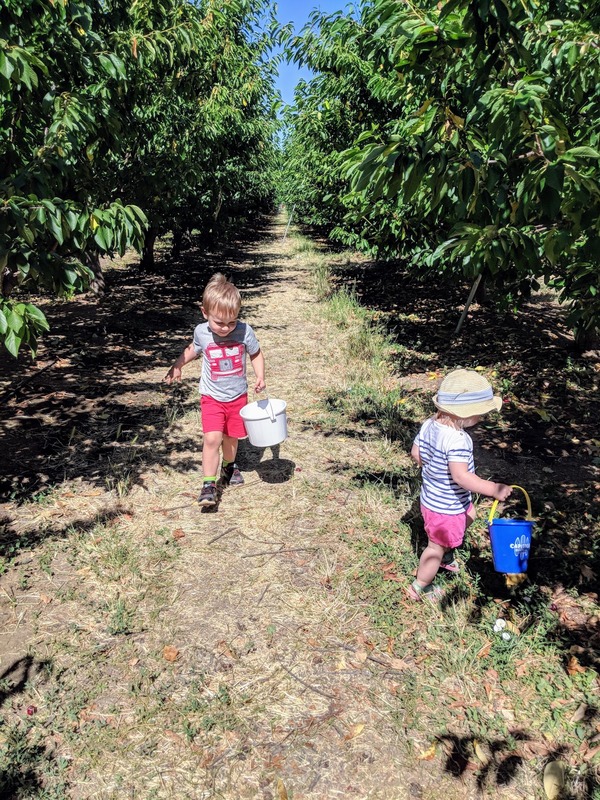 Children teach you to appreciate the little things, such as new type of cereal in the store, cute pink socks you wouldn't even notice, bubble baths, quirky songs in the car, group hugs (five plus at the same time!) and millions of other things that our daily lives are full of. You value time. With the children you never have a dull moment. So when you do find a quiet minute, you enjoy it like nothing else in your life. 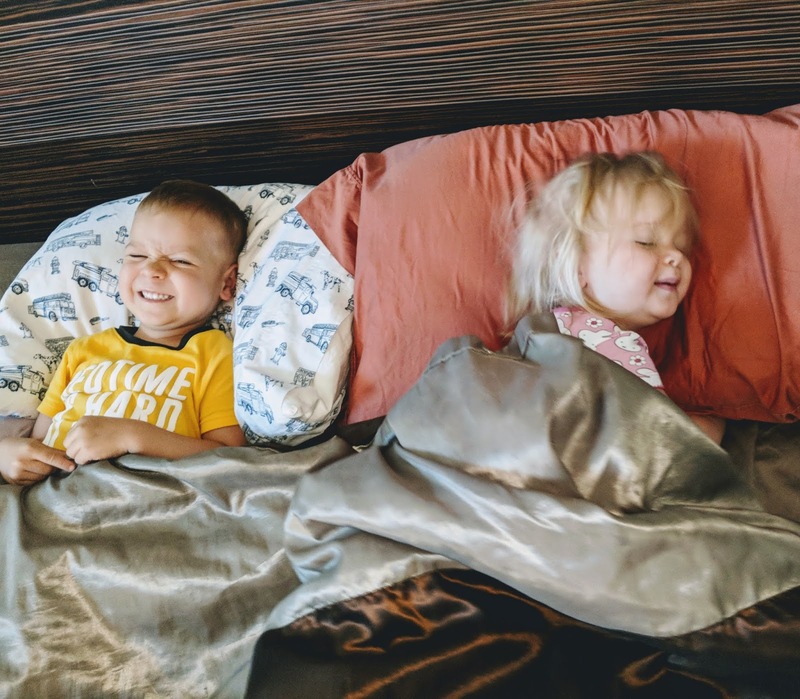 Those rare moments when the three of my children nap at the same time, my husband and I are thankful for each minute we spend together. Our kids teach us to be wise with our time because it evaporates quickly. Warm snuggles are the best with the little kiddos around you! Especially, during these long winter days. When they climb into your bed on a Saturday morning, you want this feeling to last forever. You never knew your heart can hold so much love until you become a mom. With each child it seems as though you have more and more love that was just patiently waiting inside of you to be released. It has been several months since our third child joined this world. 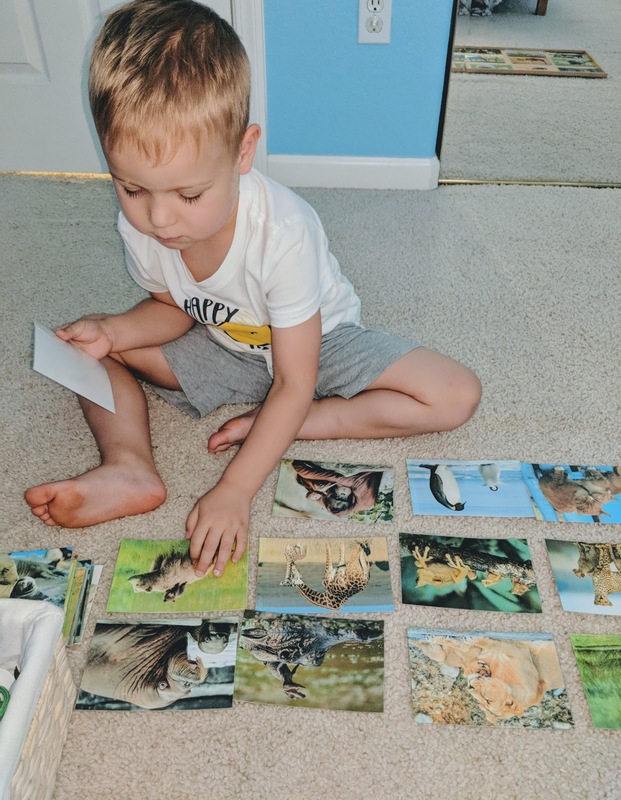 As I am slowly returning to my regular routine and preparing new materials for my children, I wanted to share with you, my dear readers, some Montessori websites which have free downloadable content. As I tend to use the same lessons with each of my children as they age, I’ve begun laminating the materials. Since it's a challenge for me to go out with a newborn, I ordered a laminating machine to work on the materials at home, while my kids nap. 1. www.montessoriforeveryone.com is a great Montessori website with lots of free content: seasons, matching cards, colors, etc. Both of the above websites have great articles that explain to readers in simple language how to use the mentioned Montessori materials, how to make them and how to introduce them to our children at home or at school. The best part is they both offer many free downloads with beautiful and realistic pictures. Although the name of this site describes the users as teachers, it has many pages for parents as well. Just search for Montessori materials for... (enter age of your child) and you will find lots of downloadable content. Most of them are not free, but still quite affordable. Many of my friends have been asking me about websites with Montessori wooden materials/educational toys. Amazon has some choices but I also highly recommend this site. They have very accurately listed materials separated into different subjects (language, science, math, etc). Be sure to take a look at their “Practical life” page. It has many cute household objects you can order for your little ones to help you around the house. You can also request a free catalog from them and make a wish list for Christmas, Hanukkah or your child's birthday. I hope you will find these resources useful. Have fun preparing lessons! About a month ago my third child, Anastasia, was born. Shortly after, my dear grandma passed away leaving me with countless memories from my childhood. As I reflect on her legacy and the impact on my life, I want to share with you several areas of her influence on me as a person. Some of these things I do with my children today, 30 years after I experienced them myself. When I look back in time, I ask myself, what was my favorite thing from my childhood. Without a doubt it was the time spent with my grandma. She had three granddaughters (including me) and she always accepted us the way we were. I don’t remember her judging any of our decisions, even though they weren’t always the best ones. She included us in her everyday life and we especially loved watering the garden, picking fresh raspberries and making delicious jam. My grandma would let us play any wild games we wanted and always laughed hard with us. She had a rule of napping after lunch, and we joined her, but never actually napped. Instead we would take our diaries and record the craziest and funniest stories we witnessed throughout the day. The freedom she provided to us taught me to respect my children’s own space, understand their good and bad days, love them unconditionally, play with them and ignore my dishes, cook with them and not worry about the mess, let them be kids, and run freely. They need to do something with all that unlimited energy, right? My grandma never criticized me or compared with other children, even though I was far from perfect. Grandma generally shared authentic stories of experiences with her and her loved ones instead of fictional tales to us as kids. She adored her family very much and always taught us to take care of each other. Thanks to her stories, I know our family history. These days, my husband and I tell stories to our kids about our lineage and roots often. My grandma had the best recipes for Ukrainian dumplings (vareniki) and borsch (Ukrainian beet soup ), and as her little granddaughters, we participated in cooking by picking fresh dill from the garden, or by rolling the dough. As we sat in her kitchen on hot summer days, we would talk and sing while she listened to us and encouraged us to continue singing . At the time I thought those moments would last forever but they do not. It taught me to enjoy my children at any stage of their development, whether they are newborn babies and get up five times at night, or they are learning how to eat and drop every piece of their meal on the floor many times throughout the day, or they build the same Lego city for the hundredth time and ask me to help with the missing pieces. Sometimes I forget about the world around me, as I am so engrossed in my little ones. My grandma Lidia was the kindest person I have ever met. Everybody in her village knew they could come over to her home and share a meal . Sometimes people would help her to do some housekeeping work because she lived by herself and always had side projects in the works. All the neighbors would visit my grandma and watch soap operas in the evening, then drink tea with sweets. I still remember some of their conversations because my grandma always included us, little children, in those talks. I learned some of the most important life lessons during those tea times. Today, my children sit at our dining table and share their stories at the table, as well as listen to the adults. I ensure my children feel as members by serving them out of the same bone china plates as I would my guests. When the wheels began to spin and I gained my balance on the bicycle, my grandma was there to cheer me on. I emphasize quality time with the family a lot in my articles. The main reason is because I experienced these moments with my grandma and they meant so much to my development. When I was with her, she devoted all of her attention to me, and was always ready to listen and give me a hug, without plugging in a moral lesson or any, unrelated to the moment, parental advice. The moment I started to ride the bike and felt my dad let go, I heard my grandma cheering and clapping so loud, that the whole street could participate in our joy. She knew this was a huge milestone for me, and she didn't care about what others would say. Growing up in the former Soviet Union, the opinions of others was a big deal for most of my family members. The key takeaway is to not care about others’ opinions, their comparisons among other children. I am the parent of my children and I know what is the best for them. My maternal instinct does not prove me wrong. My grandma’s television showed only in black and white, and often we would watch the long Mexican and Brazilian soap operas which would go into the thousands of episodes! These favorite moments of mine taught me to dream big! My grandma would discuss with us, little girls, why Pedro cheated on his wife, what could happen to the main character’s lover and many other so called important parts of each episode. These days I read books with my children and with my oldest I manually crank slides from an old film projector as in my childhood days. As we watch and read the slides, I talk to them about their fears, the fictional stories they created, and solutions to overcome the fictitious “enemy”. Any topic my children decide to share with me, I acknowledge it being important to them, so I listen intently. Lastly, I join them in dreaming big dreams together. Each summer I spent at my grandmothers home in her village. At the end of each day, I was dirty and dusty. Grandmother would send my sisters and I to the outdoors summer shower for a cold splash and rinse... I could get quite dirty working in her field through the day, but in the evening we washed and tidied up. I shower three of my children every night, and they love our family bedtime routine. During the day, none of us are worried over becoming wet or dirty. Being free to run in the forest, climb trees, and lay down in the cool grass under the shade of a tree are my most vivid memories and scents. My grandma would let me be out from sunrise to sunset. She cared about my desire to spend time with my friends or build a fortress using her kitchen rugs. My happiness was her priority and oh boy was I truly happy! Analyzing these memories in my adulthood, I have come to the conclusion that none of the mentioned interactions require spending much money or extra effort from us, modern parents. As a child, I didn’t care if my house was tidy, or if the dishes were clean. I didn’t think about my family income. In fact, my grandma was not rich at all but it didn’t stop her from investing her time in some deep and loving conversations that I still remember. TIME seems to be the most precious and memorable gift we all can give to our children. Will it be quality time? Now that is up to us. It can be an hour a day with our children and they will remember every minute of it or it can be the entire day spent giving them moral lectures on what to do and how to behave, which they will end up hating..
By observing my own children, I see many similar games and activities they enjoy doing which remind me of my own childhood experience. There is nothing better on this planet than cuddling in bed early in the morning with the whole family or dancing like crazy and singing your favorite songs. These moments build trusting relationships full of love, care, and respect. When my children grow up, I wish for them have the same positive memories of their childhood as I have of mine with my favorite grandma Lidia. She is physically no longer with me but her words, deeds, and our shared memories will last forever. Today, I’m wondering what will my children’s childhood memories be? When we take children outside, we show them real world examples instead of framed picture of objects they can find outside. Most Montessori schools start field trips from the first grade, some even earlier. As parents, we can start taking kids outdoors from their birth. Of course, depending on the age and infancy of the child the experience may differ. In fact, I would recommend avoiding long and stressful trips for a child under the age of three. Every opportunity I have, I make it a point to take my three year old son everywhere I go . He enjoys grocery shopping, dry cleaner and post office runs. 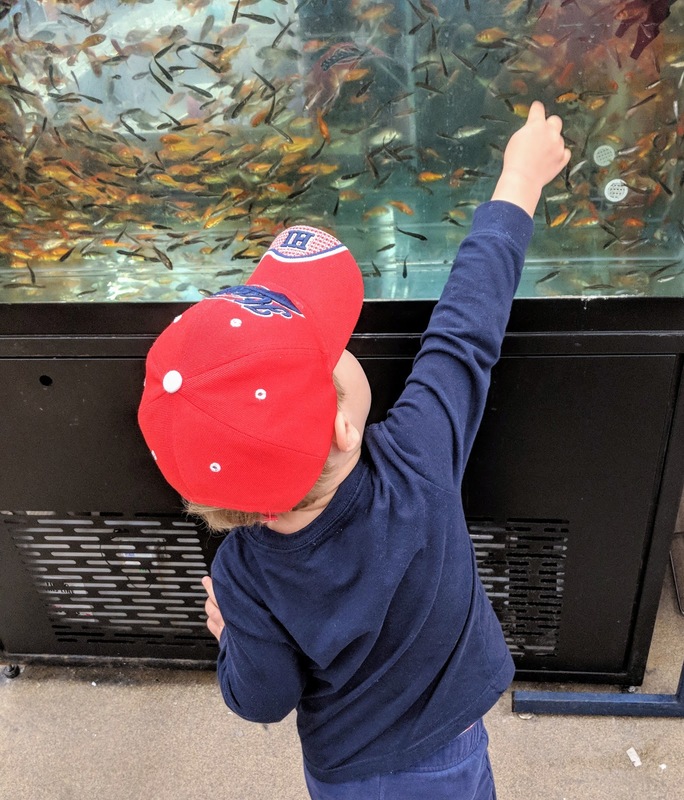 Everytime we visit a new place, he is quite inquisitive in asking a list of questions, learning new words, and experiencing a day in an adults life. We should not keep our children in a bubble environment with just bunch of toys. Their curious minds are capable of so much more. When I think of going out of the house, the children’s book Curious George comes to mind. Each chapter of the book has George and his friend visiting exciting places such as baseball games, tree planting ceremonies on Earth Day, pizza cooking birthday parties, science museums, and many more places. All of the above can’t happen on a daily basis, but they need to take place in our children lives once in a while. 1. Everyday errands such as the post office, car wash, bank, grocery store, and doctor appointments… are one form of outdoor experiences. I remember taking my son for the first time to the dry cleaners. My husband usually picks up his dry cleaning garments after work. Recently he was busy and I offered to pick them up. My son was so excited and interested by every item at the dry cleaners... I never could imagine that a sewing machine, various colored threads and plastic wrapping for the pressed shirts would intrigue him so much. On our way home, he couldn’t stop talking about all the new things and people he had met. Rodion wouldn’t have experienced the above if I simply read him a story about the dry cleaners. 2. Outdoor experiences such as visits to: parks, beaches, city walks, camping and fishing trips, and mountains and snow excursions. Being in and around nature is our best teaching experience. Such trips provide an amazing sensorial experiences for our children at any age. 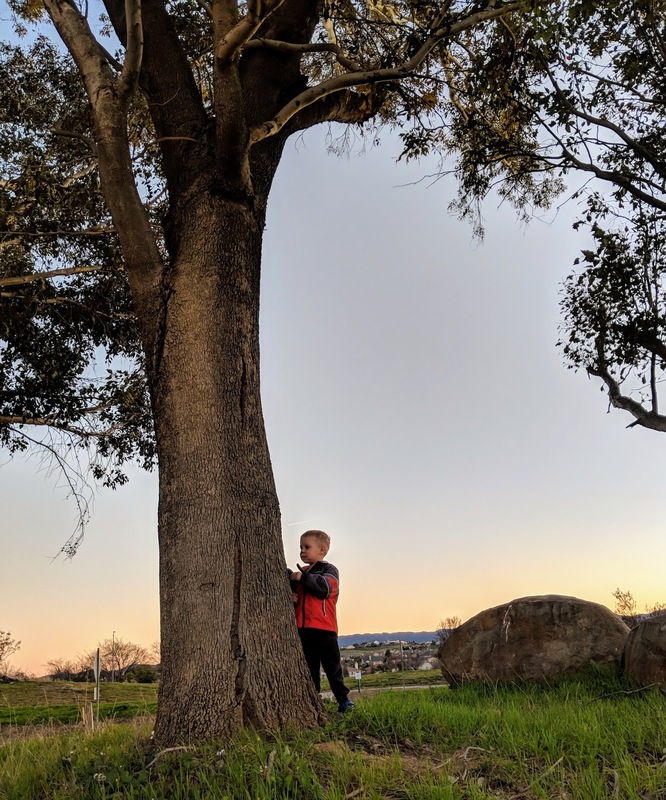 Maria Montessori wrote, “When children come into contact with nature, they reveal their strength.” Most parents would concur with the fact that when children spend a portion of their day outdoors this balance makes them happier throughout the day. 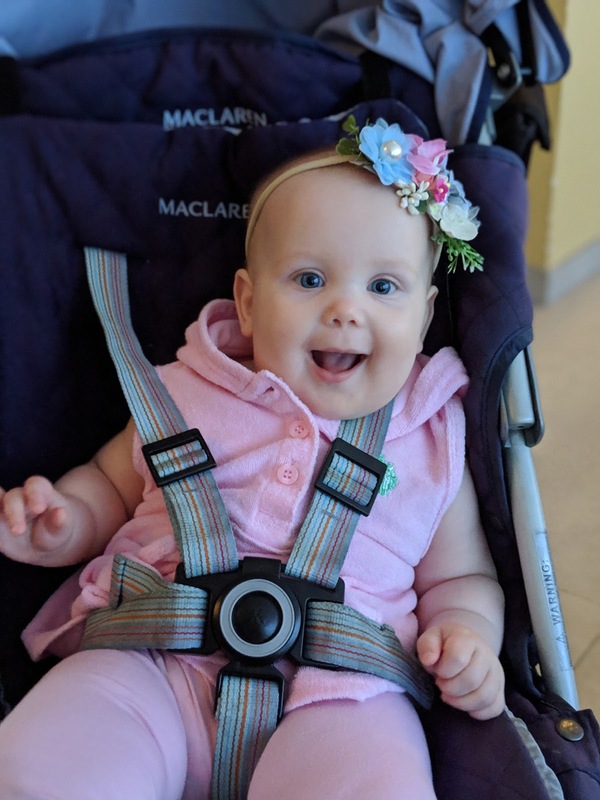 For the first six months of my children’s lives, they primarily took naps outdoors during different seasons and had an enjoyable time doing so. 3. Special events such as concerts, the ballet, circus, talent shows, or art exhibitions are other excellent ways to enjoy outdoor moments. A friend of mine once said, “I take my child with me to the ballet and various shows as I want them to see many different aspects of beauty.” At the theatre, children learn how to recognize and appreciate what other people think and feel. It teaches them to recognize the emotions of others and sense artistic beauty in personal engagements and conversations. Begin attending with your children short shows and explain to them in advance what they should expect to see. For example, before I took my son for the first time to the Nutcracker ballet, I shared with him the original story written by E.Hoffmann in colorful details. It made him very excited and curious to attend the upcoming Nutcracker performance. 4. Lastly, trips to the zoo, aquarium, science museums, libraries and other educational experiences. We do not need to wait until our child attends their first school field trip to have such an experience. If possible, try to plan one such trip per month. 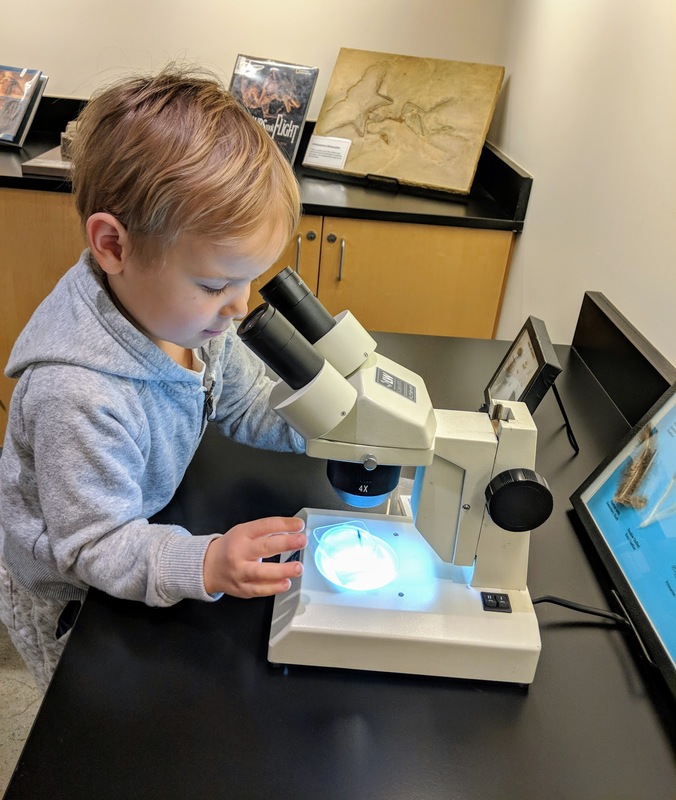 There are many membership opportunities but I found that my young children prefer new places to visit rather than continuously return to the same museum or aquarium. At the beginning of the year, when we record our new year resolution, plan your memorable family excursions. It will make it easier not to forget about them throughout the year. 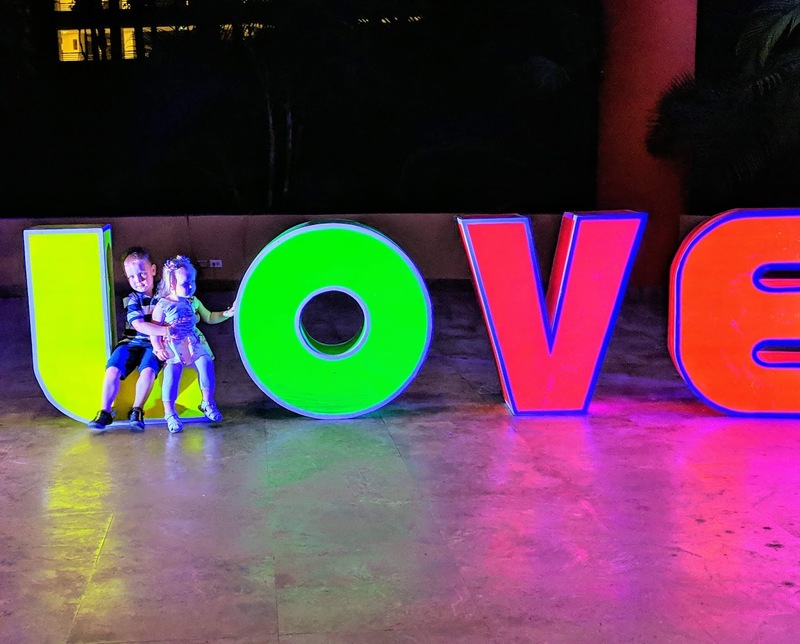 There are other ways to take your child outdoors by traveling around the world, taking them toweddings, or simply including them in any or all of your events. You do not have to plan something special. Often my children are excited by the simple opportunity to feed the ducks at our local park. Ultimately, these end up as our most fond memories. Part II of sensorial activities with our little ones. This one is a very popular activity in a Montessori primary classroom (ages 3-6). It is also called a Montessori stereognostic bag. The main goal is to train child’s senses and learning to “see” with our hands. To start the game, place a few familiar objects in the dark bag. Pull each object out, one at a time and name it to the child, then pass it to them to touch, feel, smell and even taste the object. For example, prepare a pencil, ball, spoon, metal key, and a tiny book. Put all of the above in your mystery bag and present to your child the first object. Begin by saying, “I am going to show you this mystery bag. It has some objects (reach first for the pencil). This is a pencil. It is long and sharp at the end. You may touch it.” Describe each object with a few words. The older your child is, the more information you can provide to them, such as the material it is made of, where it is used, its color etc... After you introduce this game, your child can try to find different objects in the mystery bag with their hands, without looking into the bag. For more advanced children you can just describe the object you want them to find without naming it. For example, “Could you please find for me a small object made out of metal? ( Answer: key)”. If possible, increase the number of objects up to ten and make sure they are different shapes and textures. It will be difficult to find a ball in the bag if you have a few round shaped toys there. The mystery bag is also a great activity for older children to build and practice deductive reasoning skills. They can ask different questions about the objects to try to narrow down the possibilities: Is it a soft object? Can I roll it? Additional bag objects: large ring, small bottle, pine cone, cotton ball, any geometric solid, a doll, rock, small stick, a piece of aluminum foil etc. An Amazon small size gift wrap bag will make a great mystery bag to hold your objects. 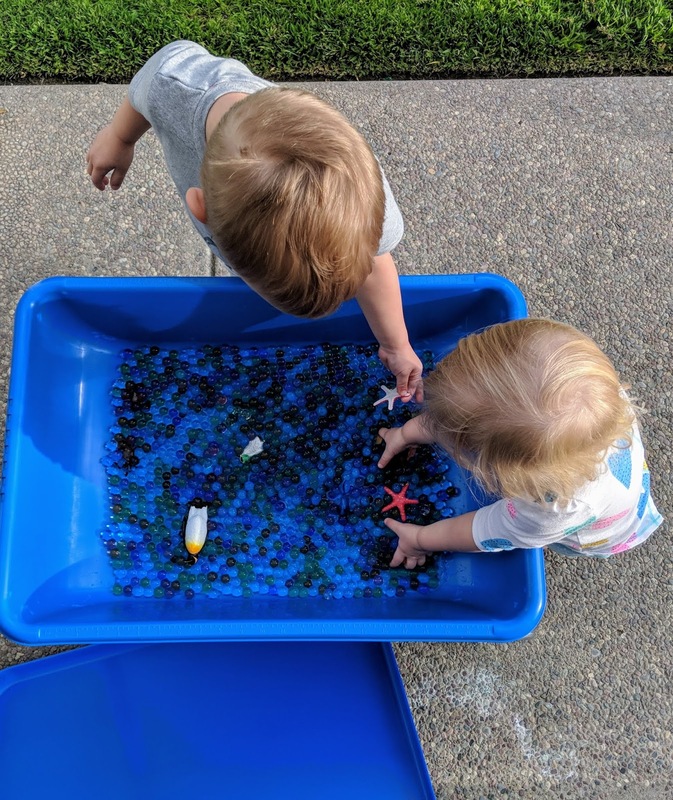 An opportunity to refine motor skills with children... To begin, set aside several real coins.. Then wash them with your child, and find a basket or container where you will hold them. Bury the coins in rice and let your child find them. Afterwards, try stacking pennies on top of quarters. Later try rolling the different sized coins., With your older children sort the coins on separate plates, learn the names and values of the coins. Lastly, print the coin images on sheets of paper and have your child match and correlate the coins to the corresponding images. There is a lot of research that recommends finger painting for a child’s development. Finger painting strengthens hand muscles and teaches how to mix colors. Another benefit is that it helps our children focus on the process of painting itself and not on any specific finished product. Likewise, it is relaxing and involves all the senses. Children can discover informally many art lessons and learn colors; however, the most exciting benefit of finger painting is that it brings so much fun and joy to the children! 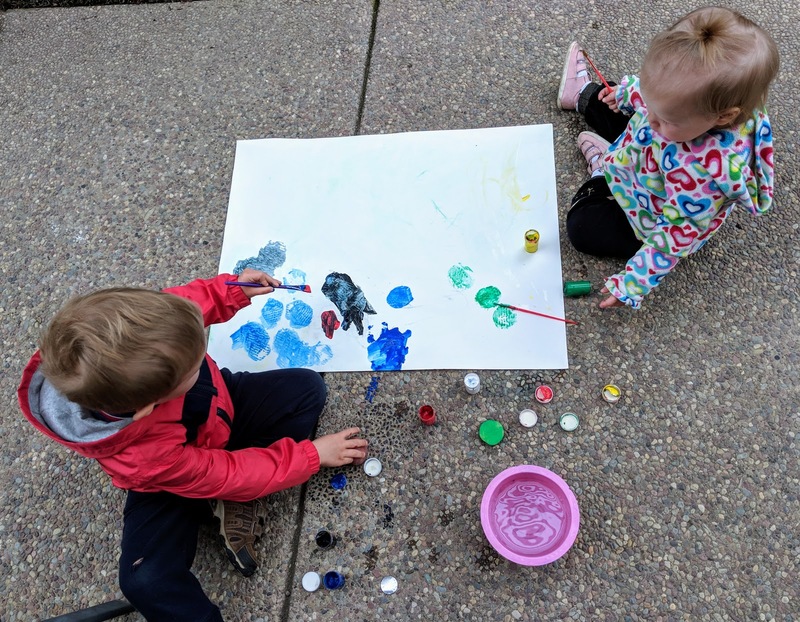 As a suggestion it is best to paint outside on a large piece of paper, providing a minimum of instructions for the child to ensure they are the ones doing the drawing. Begin with only primary colors. if your child is under twelve months of age, you can use yogurt instead of paint and add a food coloring dye. 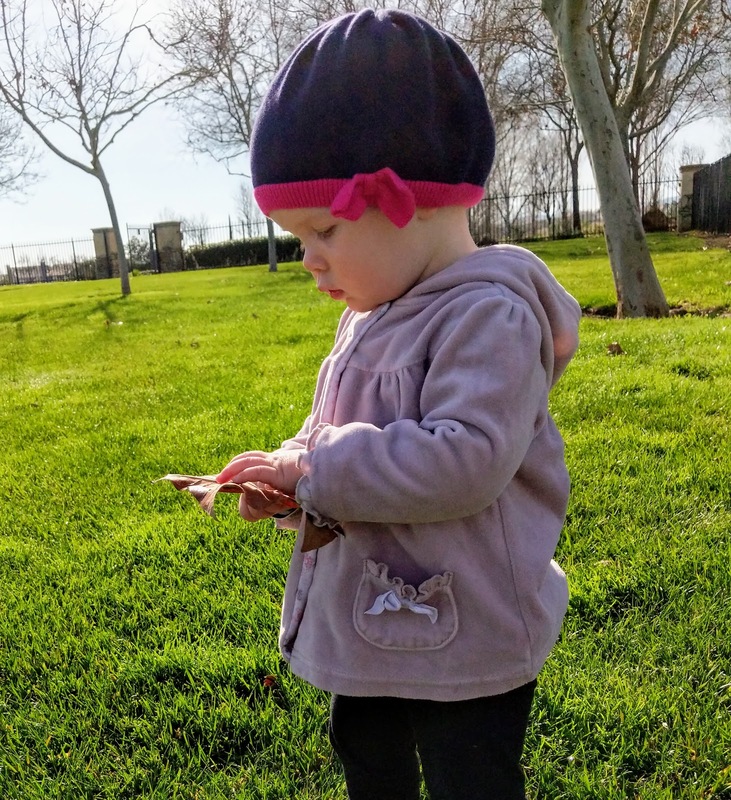 While outside allow for children to collect random objects to add to their art inspiration. Some children do not like to get messy and may not enjoy finger painting (like my kids) so offer them a paint brush. 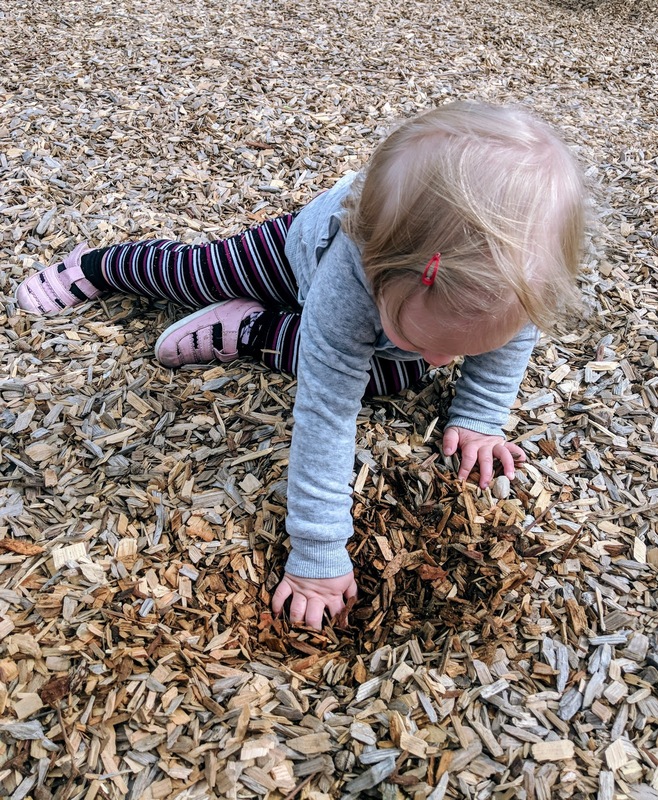 Also, consider using water based paint which is mess free and allows you to leave the child for a few minutes to explore independently without them staining their surrounding environment. There are other sensorial activities you can prepare for your child’s enjoyment. In my previous article I mentioned smelling bottles, sound bells, grain work, pouring and transferring water. Also, you can have on your sensorial shelves playdough, building blocks, themed stickers, color matching objects, light and heavy objects for sorting, Russian dolls, tangrams games, and more.. 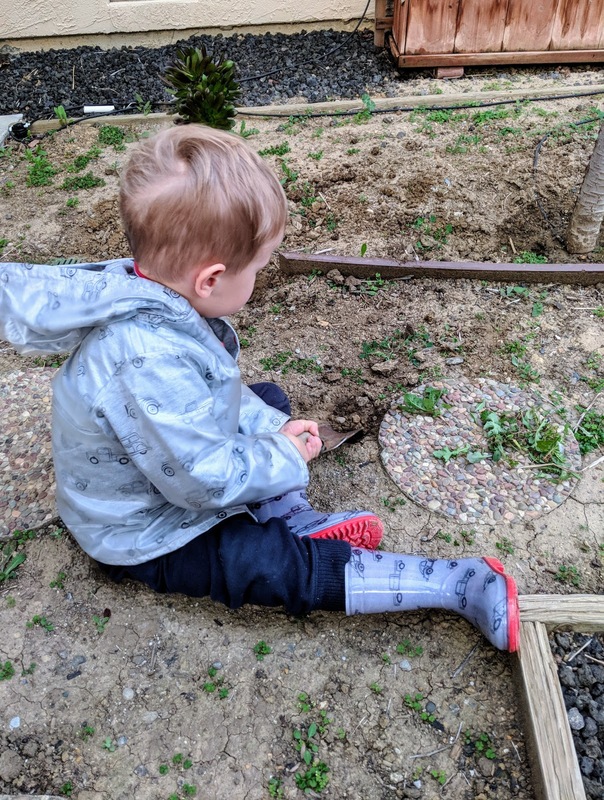 Being out in the garden or lawn area is another fantastic sensorial learning experience where children are free to dig, feel, sense and smell their surroundings. Children are particularly receptive to developing their senses from ages two to six, so try to introduce as many sensorial opportunities as you can. Have exploring and trying new activities with your little ones :). As a doctor and educator, Maria Montessori strongly believed in the importance of a child's sensorial experience from their birth. Sensory comes from the Latin word sentire meaning to perceive, fee. The first six years of a child’s life, is meant to have them experience their surroundings through the five senses as much as possible. Children learn so much about the world around them through sight, sound, touch, taste, and smell. For example, when taking a nature walk, you may hear birds singing or feel the wind blowing in your hair. Likewise, you may touch the leaves and rocks and feel their different textures and sizes. Lastly, the flowers you see and smell provide an unforgettable experience about the nature that surrounds you. 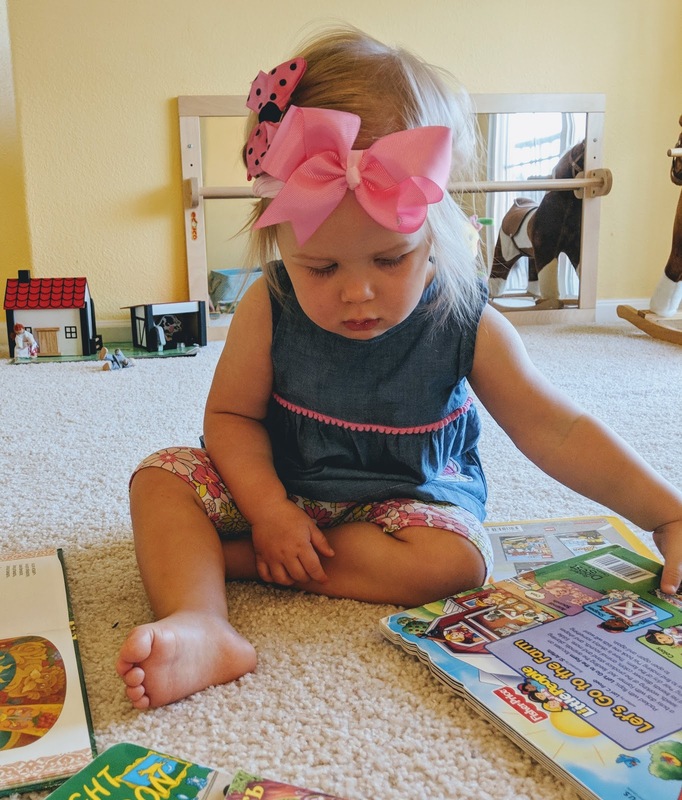 If we provide enough sensorial experiences to a child from birth, they won’t have any problems in the future with reading, handwriting, memorization, and other school activities. 1. Grain work - excellent for children’s motor development skills. This activity requires any type of grain you may find at home such as rice, or dry pasta. You can use coffee beans, peas, and black beans for this exercise as well. Place the grains in various containers and let your child sort them by type, color and size. For young children begin with introducing them to one type of grain and let them play with it. 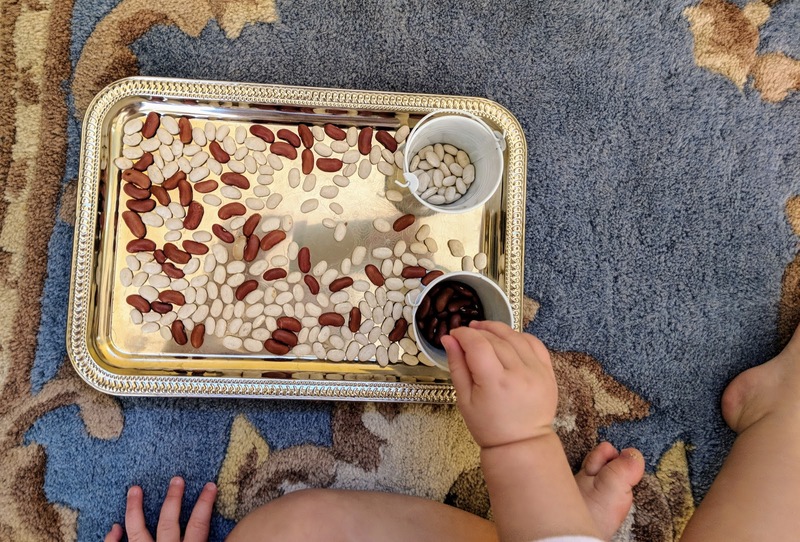 When I first presented before my daughter white beans she could not stop touching, pouring, picking up, and tasting them for over half an hour... I couldn’t believe something as simple as uncooked beans could interest a one year old for such a duration of time. Similar to our hands, our feet have many sensory nerve endings. Consider taking your children to the beach or nearest sandbox and allowing them to play barefoot. 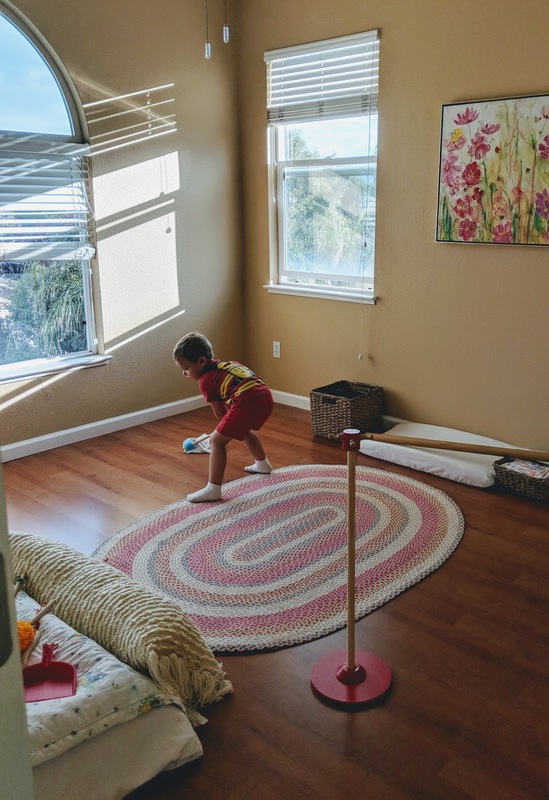 There are so many benefits to this type of learning experience, and as this is outside the home, it relieves you of a clean up chore around the house. 2. Transferring and pouring water - excellent for hand coordination and concentration. Prepare a tray with a small pitcher or a small creamer for your youngest student and a glass (or metal cup) with a sponge to clean up spills. Demonstrate to your child how to hold a pitcher with two hands and pour water into the glass. Repeat it again. You can also show how to transfer water or grains with a spoon. Later, add variations to the exercise such as: pouring through a funnel. Children are fascinated with musical sounds. I have never met a child that isn’t excited by music. There is a difference between passive listening and creating musical sounds. There are traditional Montessori sound bells (see the first item on my Amazon list below) that I recommend. Alternatively, have different materials from home on a tray or in the basket that your child can use to make sounds such as: wooden spoons, metal trays, and small kitchen pots or drums. Let your child experiment with the sounds by themselves. 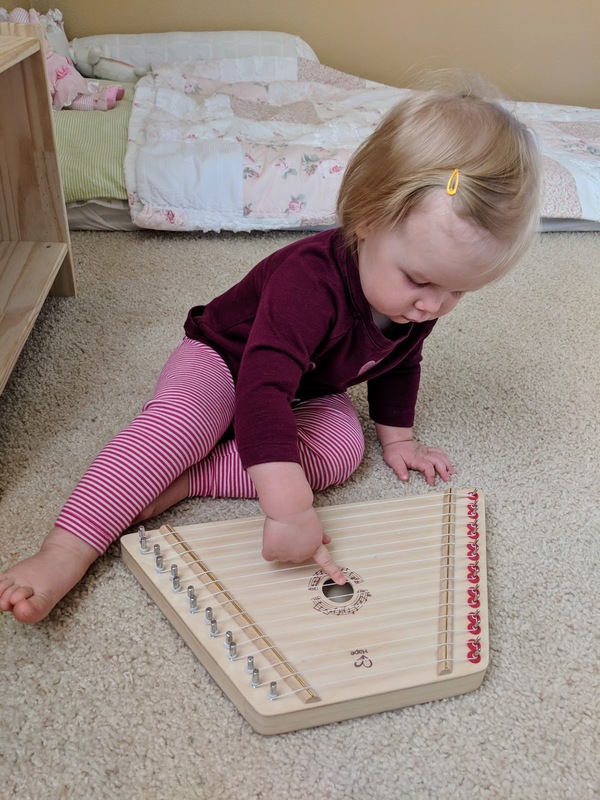 I know it’s tempting to create the sounds for your children but it’s much more exciting and rewarding for a young human to discover a new sound for themselves. Teach your little one some basic music terms: loud, quiet (forte and piano for older children), high and low sounding pitch and other alterations. 4. Smelling bottles - my favorite! Purchase clear bottles that are easy to open. Fill them halfway with coffee beans, cinnamon sticks, lavender flowers, garlic powder, and vanilla flavor. As you introduce these aromas for the first time, make sure you name them for your child. When my son was two years old, I used a gift set with essential oils to introduce to him eucalyptus, lavender, orange, and vanilla scents. He was mesmerized by the activity! A year has passed and I happened to the set and recently added some eucalyptus to the kids bath, after which my son happily announced, “Mom, I remember this smell, it’s eucalyptus”. What we retain through our sense of smell amazes me! My next article will feature part two or more sensorial activities to complete with your kids. Stay tuned!